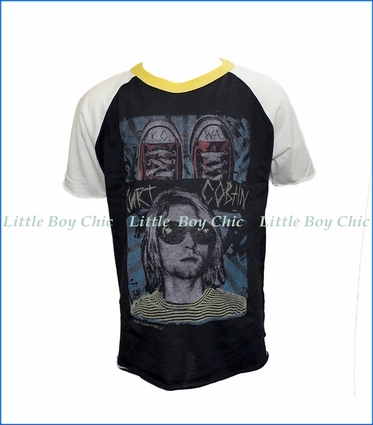 We think this short sleeve raglan tee by Rowdy Sprouts is special, paying a stylish tribute to Kurt Cobain for a new generation of music-philes. 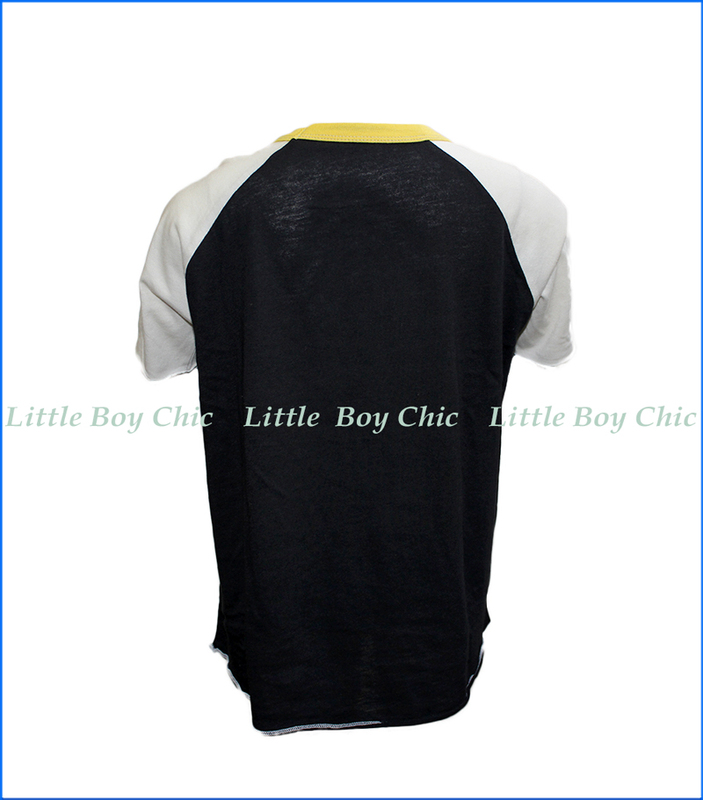 Contrast ringer neck line. Soft hand feel from dual fabric blend. Shirt tail hem with exposed hem.